I don't know about you but I feel as if I have always been on some kind of health kick, diet or trying some new weight loss fad. I have tried every diet, every supplement, joined groups, joined gyms, everything you could imagine. Last year my husband and I began our lifestyle health kick where we ditched the bread, limited ourselves to pasta once a week and cut out all the naughty food. We have done really well and have lost six stone so far but we both seemed to have plateaued and needed something to help kick start the weight loss again. I came across something that innovate and unique in the form of The Diet Plate® and I couldn't wait to see how a diet plate could help with weight loss. 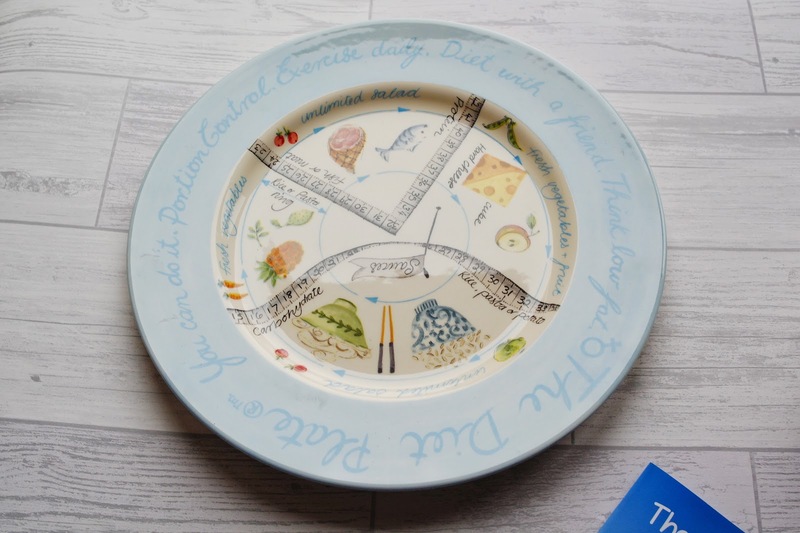 The system comprised of a plate, a bowl and a handy guide which takes care of portion sizes, whatever you cook. This practical and visual weight loss programme can be used everyday instead of using a diet sheet, counting calories, using a point scheme. There is no weighing of food and you can eat with the rest of the family which sends an important message to your children regarding healthy eating. 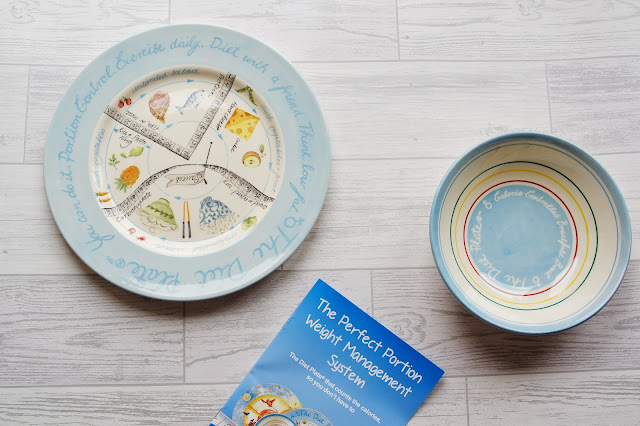 The Diet Plate® has been clinically proven to help with weight loss, with each week that passes using this programme you are able to loose between 1 to 4 lbs a weeks. I couldn't think of a better way to change the way you look and eat your food. 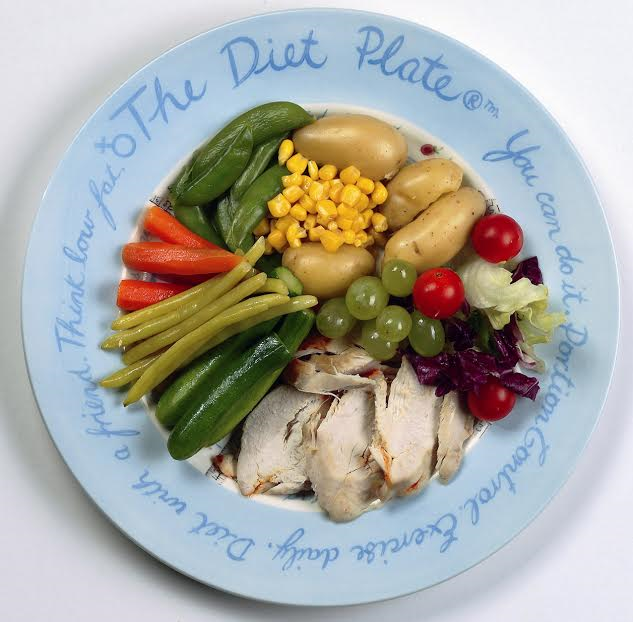 'The Diet Plate®' is divided into sections for each food group. The patterned plate has an area for protein, starchy carbohydrates and unlimited salad and vegetables. There is a measuring area for combination meals such as fish and rice or chicken pasta and even a cheese cube area if you want to include a piece with your meal. It works for a vegetarian diet too. There are many varieties of food and in different combinations. There's a plate for everyone. The female diet plate provides a serving of 750-900 calories, the males diet plate provides a serving of 900-1200 calories. But there is also a 'magic' plate available for children aged 4-11 that provided a serving of 750-900 calories. 'The Diet Bowl' has measured bands around the sides where you can place your chosen cereal with milk for low calorie breakfast or soup for a light lunch. The booklet helps with suggestions of which band to use in the bowl with what variety of food you like to eat. 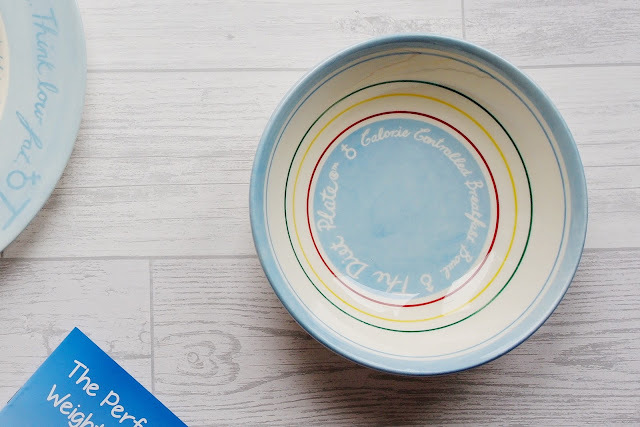 The calibrated bowl is designed to provide a 200 calorie serving of any breakfast with semi-skimmed milk. You just serve up to the correct colour band for the cereal of your choice to ensure you keep your calorie intake in check. 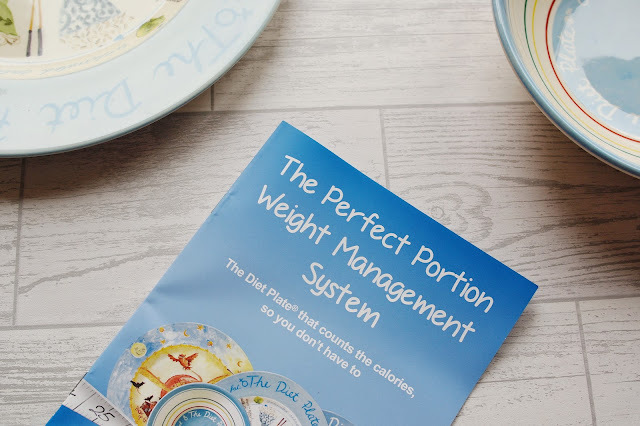 I think what makes this programme so unique is that The Diet Plate® can work independently or alongside an online programme. If you are a member of The Diet Plate Online, you can use your Diet Plate as a measuring tool when entering foods into your planner. Every food in their database has a Diet Plate serving option when you are selecting how much you've had, making it easier to log your meals. Since nothing is off the menu with The Diet Plate Online, you can expand upon the range of foods and drinks available to you. This enables you to indulge your sweet tooth or eat out in restaurants, and still have a successful diet. In my own experience I can already tell that that The Diet Plate® is like no other programme out there. It's about a lifestyle change and teaching you about your portion control and making the right choices when deciding what foods are good for you. 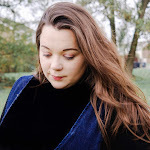 I think it's all because you can actually see what you should be eating, there's no hassle, no measuring which makes life easier and will fit in with all lifestyles. I believe that The Diet Plate® programme along with the online support is a great way to make those important changes to your life, but it's a great way to help yourself stay on track and to make changes if need be. Would you try The Diet Plate® programme to aid your weight loss? 4 comments on "Changing My Lifestyle with The Diet Plate®"
The Weight Watchers plan is all about eating what you like but in the right portion so that you will take in sufficient nutrition for a healthy body. It is really a call to changing your lifestyle which might include exercising.